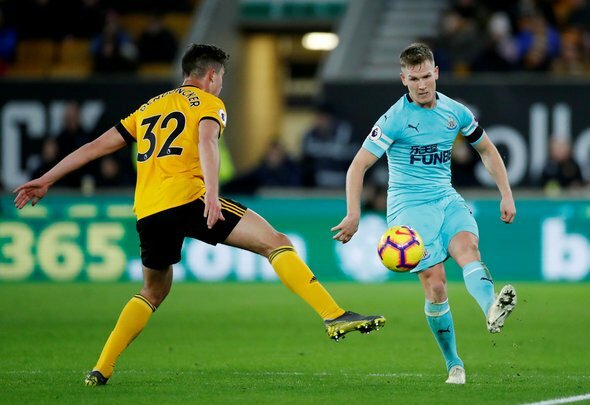 Wolves midfielder Leander Dendoncker has been somewhat of a revelation in the last few weeks, but the same cannot be said for his display against Newcastle on Monday night. The 23-year-old was a far cry from the player who had been blowing fans away in the last few weeks, as he really struggled to find his rhythm throughout the whole evening. The Magpies played on the counter-attack quite often and this clearly did not play to his strengths in the slightest, and this really did show, which is a shame. This will be a cause for concern for boss Nuno Espirito Santo, as Dendoncker has arguably been one of the team’s best players lately, but he is now starting to show signs that he is not able to cope with teams playing on the counter-attack. A lot of sides in the Premier League like to play in this style, so his inability to deal with such threats is no doubt a worry for the manager. Alarm bells will no doubt be ringing in Nuno’s head after this mediocre performance, as Wolves need him to be on top form to ensure that their hopes of finishing in the top ten stay alive. It is unusual to see the 6ft 2in [Transfermarkt] ace struggle like he did, especially for the fans, who would have been excited to see Dendoncker play after being overlooked at the start of the season. It was no surprise that he was taken off in the second half, as this allowed Wolves to chase the game without Dendoncker hampering their efforts. There is no denying that he is a decent player, but he must improve if he wants to stay in Nuno’s starting XI. Either way, Nuno must be rather worried indeed.